George A. Fogg was born in Newburyport, Massachusetts, and raised in the neighboring town of Salisbury. He went to Salisbury Grammar and Amesbury High School before a four tour of duty in the U.S. Army. He then attended the University of New Hampshire in Durham. George began English dancing with the Country Dance Society, Boston Centre, Inc. In 1968, when the leader and principle teacher retired, the Appalachian Mountain Club's Country Dance Society "Cardigan Dance / Hiking Weekend" held near Bristol, New Hampshire, needed another teacher / leader. George was selected and has been teaching English Country Dance ever since. For his years of service to the organization, George was made a "Life Member" of the Country Dance Society, Boston Centre, Inc. In 1968, with Ms. Joe Ray, George started the South Weymouth English Country Dance Group in Weymouth, Mass. The group grew for a number of years until attrition forced the group to disband in 1998. George says, "This group was very tolerant of me in my beginning years and thus was a great and wonderful learning experience for all of us. This group was one of my extreme joys in the dance field. It was out of this group I was able to present my first George Washington's Birthday Ball in 1984." George has continued presenting the ball ever since. George is well known as a regular at the Mainewoods Dance Camp, whether he's on the staff or helping in the kitchen or wherever needed and teaching a dance or two at the evening parties. At the 2003 camp, he came up with the idea of "English Country Dances in 3/4 Time" at 2:30 a.m. the first night and they began appearing on the request lists! "One of my best experiences," George relates, "was to be invited by Ralph Page to lead his November Square Dance Weekend at East Hill Farm in Troy, New Hampshire. In addition to Ralph, other callers were Roger Whynot and George Hodgson. I learned much from them and later I found out they had learned from me! I was there for 17 years. The calling / leading was so superior and enjoyable. Unfortunately, after Ralph passed on, it was not continued as he was the guiding hand; another leader tried but the joy and loss of Ralph had its closure." He has been the Dancing Master at the Hartford Playford Ball in Hartford, Connecticut, Sudbury Militia Balls at the Wayside Inn in Sudbury, Massachusetts, and the Billerica Colonial Minutemen, Billerica, Massachusetts. He holds membership in several dance organizations, including the Country Dance and Song Society of America (CDSSA, Haydenville, Massachusetts), Country Dance Society (CDS, Boston Centre, Inc.), English Folk Dance & Song Society (London, England), New England Folk Festival Association (NEFFA), Pinewoods Morris Men (PMM), and Black Joker Morris Men. He has produced over forty Christmas Country Dance Balls and George Washington Birthday Balls. George has been on hundreds of Morris tours, including England with the PMM and Black Jokers. He also has participated in a dozen performances. In addition to teaching hundreds of "one-night stands," George has taught two dozen organizations, a dozen dance camps, and several workshops. He has also reconstructed Early American dances and steps, working closely with Kate V. W. Keller and Chip Hendrickson. 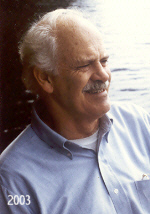 In 2012, the CDSS governing board awarded George its Lifetime Contribution Award. Other organizations of which George has been a member are 7th Degree Patrons of Husbandry Grange (over 60 years including holding various offices) and the South End Historical Society of Boston. Although George is quick to remind that he teaches English Country Dance and Colonial dances, you might find him teaching a Scottish dance once in a while, too! Dances George has taught include Armstrong's Waltz, The Bonnie Cuckoo, Drapers Gardens, The Duke of Kent's Waltz, Family Waltz, Hole in the Wall, The Lancashire Reel, Leah's Waltz, Two Cousins, and Well Hall.